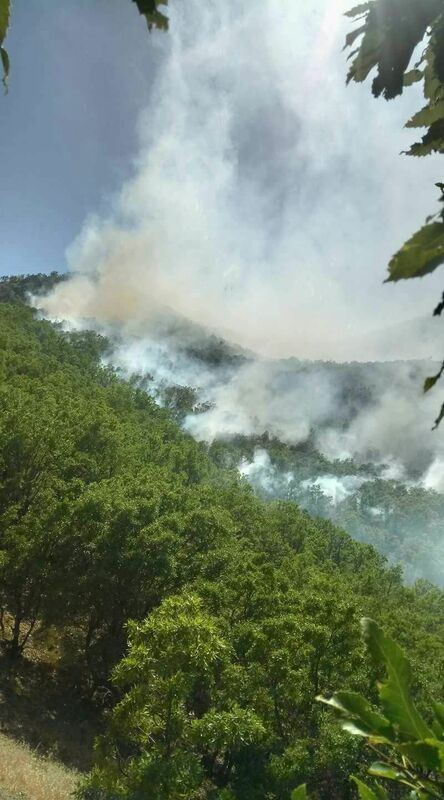 The forest fires that were started by army forces in the course of the military conflicts between the Turkish army and armed Kurdish and other rebels endanger the lives of residents and vacationers in the Eastern Anatolian city of Tunceli (Dersim). Several villages have been cut off from the outside world for days. The destruction of nature is reaching an intolerable level. Desperate villagers are pleading for help. Thousands of people who have their cultural roots in the region, as well as local NGOs, are trying to mobilise the public through social networks to exert pressure on the Turkish government. Tunceli (the core area of the historic region of Dersim in Eastern Anatolia) has been the target of military operations by the Turkish army, especially since the 1980’s. As a result, the population has fled, been driven out or emigrated from this region. The majority of the indigenous population of this region belongs to the Alevi faith and has an ethnicity which differs from “Turkishness”. For this reason, the Turkish state apparatus has been trying to force the indigenous population to flee or migrate from the region by various means, including military attacks, construction of dams and goldmining projects using methods which are destructive to the environment, in order to carry out an ethnic and religious purge in Tunceli (Dersim).